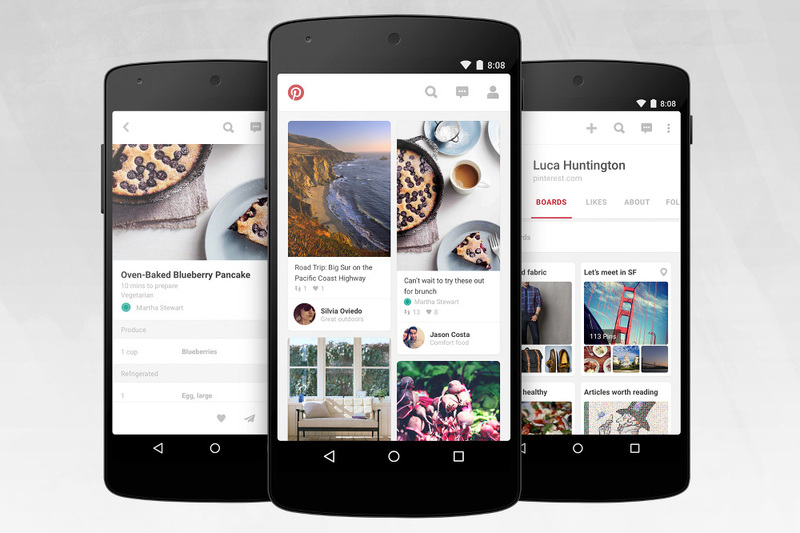 The Pinterest app for Android received a makeover today that introduces some Material Design, like a more vibrant, intuitive experience “that’s native to Android,” all of which was done in about three weeks time. The developers behind the app also improved the navigation to make it easier to jump around the app, plus the performance should be noticeably speedier. Pinterest claims that they reduced the launch time from 5.3 seconds to 2 seconds. It sounds like the update is taking advantage (ugh) of Google Play’s staged rollout “feature,” so it could be a few days before you all see the new goodness.